John and I have been planning a date night for a couple months now. The sad thing is that it hasn’t happened yet. The desire is there, but the actual planning portion isn’t. It usually happens something like this. We’ll set a tentative date to go out to dinner and a movie. Then something will come up, work or personal, and the date night is pushed aside and eventually cancelled. We’ve built the cost into our budget so we have the money to go. Our issue is with scheduling. Sadly, we aren’t very good at it. We both need to make date night a priority and commit fully to going! Valentine’s day is coming up this weekend and I’m determined that we will spend time together. It’s the day of love and there isn’t anyone else I’d rather spend it with! My friends at RateSupermarket.ca conducted a Date Night Downturn survey where they asked Canadians about their thoughts and experiences with date night with particular attention to its affordability. Let’s face it – date night is expensive. You can easily spend over a $100 in a matter of hours! Costs seem to be rising everywhere these days (have you seen the price of cauliflower lately!?) so it doesn’t surprise me that Canadians find it difficult to afford regular date nights. 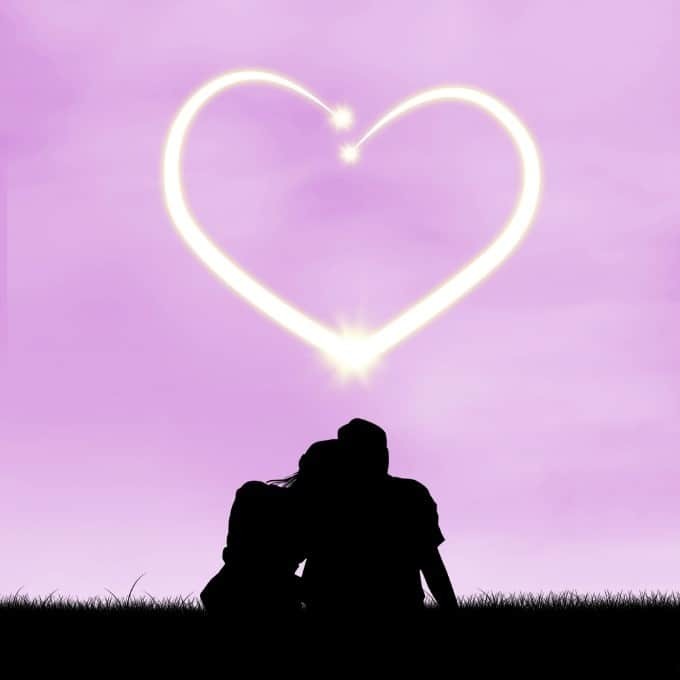 This post about the Cost of Love in Canada may shock you! Love isn’t cheap. The survey found that Canadian moms and dads are half as likely to go on a date night compared to non-parents. 68% of Canadian parents say they go on fewer than one date per month with their partner. The top reason given for the lack of date nights is the affordability and the costs of raising a family. As for the non-parents, 31.7% went on fewer than one date a month and said that miscellaneous bills posed the greatest financial challenge. I feel a little better knowing that it’s not just me. Many of us are having date night issues! The survey also found that 50.83% of Canadians spend between $50 to $100 per date night night. However, 25% of Canadian couples have a more frugal date night and spend between $10 to $50. It shows that you can still spend quality time together without breaking the bank. With the rising costs of food and entertainment, we need to be a little savvier in our financial planning to keep date night a priority. RateSupermarket.ca has some tips to help you afford date night. I’ll be adding in a few of my own tips, too! 1. Build it into your budget. Just like you include a line in your budget for bills, housing and groceries, add in line for date night! It doesn’t need to be much. Even if it’s a small amount for a date at the local coffee shop or the movies on cheap night, any little bit makes a difference. I include a small amount in our budget for date nights and we have enough now that we need to go out and spend it. 2. Use your rewards. If you have a credit card that earns you cash back on dining, entertainment or groceries, use it on date night to earn some of that money back on your budget. I collect rewards with my credit card and save them up till I have enough to redeem for a $50 gift card. Hello date night dinner! 3. Take a spendthrift staycation. Sounds like my kinda vacation! I like staying close to home. RateSupermarket.ca found that 36.5% of parents reported that they take a romantic vacation fewer than once per year. Stay local and see the sights in your area with your sweetheart. When the weather is nicer, you can hit the beach or plan a picnic. 4. Try a savings challenge. If your budget will allow, try one of my savings challenges to save up for a date night extraordinaire! Even $10 a week adds up to a nice chunk of change. 5. Take advantage of Groupon offers. Subscribe to the Groupon newsletter in your local area and be the first to know about the deep discounts. They’ll often have special offers for restaurants and other fun activities that would be perfect for date night. 6. Have a date night in. A date night in is better than no date night at all. Order in some takeout and spend a relaxing evening with your partner watching some Netflix. I recommend The Fall! 7. Coordinate with another couple. Chances are, friends of yours are struggling with date night too. Team up with another couple to swap babysitting services. While you go on your date night, they can watch your kids and vice versa. It makes a big dent in one of the hefty date night costs! I’d love to hear your thoughts about date night! Do you find it a challenge? Check out my other posts 8 Reasons Why Financial Literacy Matters, Home Ownership and the Terrible Money Twos and Introduction to RRSPs. Great tips, thanks! Date night is something we don’t do enough of but really need to! Keeping a weekly date night is a goal of ours, but everything is so dang expensive! We have been working in walks in the park and I learned not to be embarrassed bringing out coupons at the restaurant when we eat out. Date nights in are my favorite. I love not having any pressure, and I love saving all that money in favor of extra cuddles. 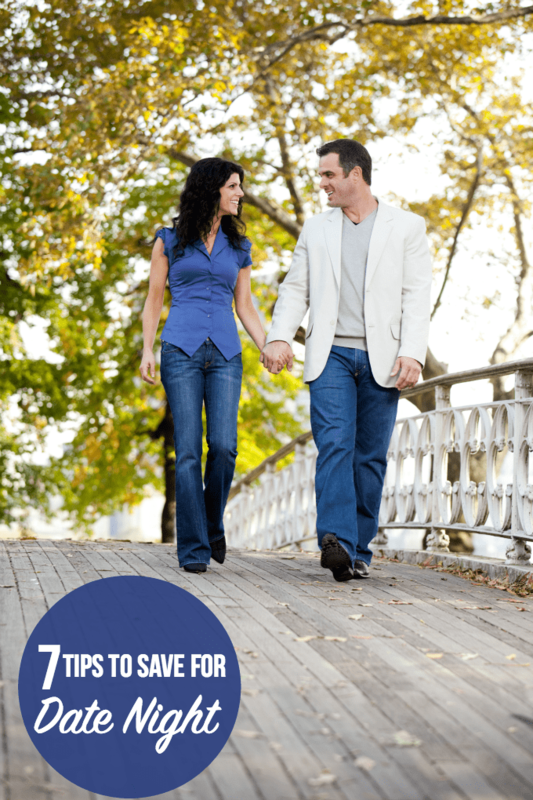 These are great tips, it’s pretty crazy how quickly the cost of date night can rise. Thanks for sharing tips to make that issue easier. I love date nights, thanks for the tips. I do enjoy a great dinner out, but to be honest, too often we are left questioning the value received for the expense. We have sometimes chosen to do a hike and picnic as our date day. I would love to go on a date too! We put money aside each week to do this on Fridays! I think it’s important for a couple to go on date nights and if money is tight, as is often the case with a family, then going for walks, to the movies, or simply cuddling up at home with Neflix are good alternatives to going out for a meal. I think it’s important for a couple to go on date nights and if money is tight, as is often the case with a family, then going for walks, to the movies, or simply cuddling up at home with Netflix are good alternatives to going out for a meal. Great suggestions! I have a Groupon account, but never thought to use it for dates. Very smart – I’ll start doing that! THANK YOU! Honestly sometimes I rather not go to the movies and just stay at home, or even go and make something fun like a Picnik or go to the beach! We seldom have a date night, nut we get to this weekend. So very excited. I don’t know yet what we are doing, but it will be fun I am sure! Happy Valentine’s day! It is so important for couples to get out for a date night. I like to look for deals in my community. Out theater has $6 Tuesdays. It is a fun night out and if we have dinner at one of the restaurants that offers deals for two we can have a great night for under $50. Parents need to have a night out once in a while. I like to save up all my change for a few months to help pay for a fun night out. It adds up so fast. These are great tips. It’s important to make time to spend with your partner! Don’t let life get in the way! I think it’s so important to make time for alone time. Even if it;’s just for a coffee. 🙂 Thanks for the tips. It’s so important to take this time out for yourselves. If not, you can easily lose yourself into a daily ritual. Get out and just do it. Great tips! Being in Alberta, the bottom has dropped out of our economy, so even though we are one of the lucky ones when it comes to our jobs/financial situation, we have cut back just in case… That includes date night is now relegated to Netflix and staying in, frugal movie night out or something where the family or friends can look after the kiddos so we can go to a free night at the local museums or attractions.